When you design projects, it’s generally easy to get behind a simple process: you make a draft, send off the PDF, wait for some comments, and eventually it’s done. Designing clothing can be a little different. 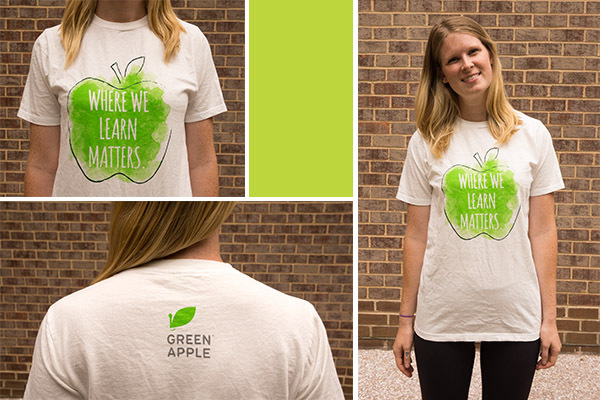 We recently needed to produce a t-shirt for our Green Apple initiative. There were a few requirements: it needed to be timeless, needed to use as few colors as possible, and needed to include the logo. Otherwise we had creative freedom to produce anything we wanted. I started by searching for inspiration. I went through some blogs, illustrations, band t-shirts, popular clothing lines, etc. I focused on Green Apple’s slogan, “Where we learn matters”, and the fact that they care about healthy, safe and efficient schools. 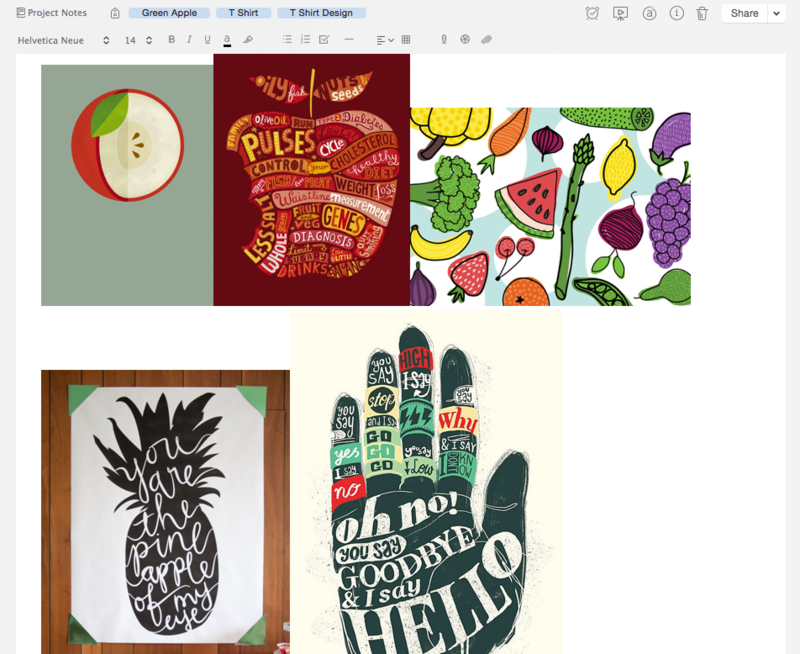 I pulled all of these visual inspirations into my project notebook in Evernote, that way it was easy for me to locate later. After gathering some inspiration, I moved onto some mockups. One thing that is really important when designing clothing, is to mockup your design on a template that is very similar to your final product. Sometimes a design looks really awesome on your white computer screen… but when you lay it out on the front of a t-shirt you realize it just doesn’t work. I always like to provide real life mockups! Photos thanks to Ana Ka’ahanui.